Meeting Just the Mother of Two ! Some friendships are forged in childhood, friends you grow up with and who are a part of all your childhood escapades. Some friends are made in college and the predominant memories with these friends are of classes bunked together, movies seen, last minute cramming before exams and hostel days. Some friends are ‘Travel’ friends who are only remembered when you need to take off on yet another backpacking adventure. Some friendships are simply convenience friendships with people you have tea or lunch with at work. These people are conveniently forgotten once you change your job. 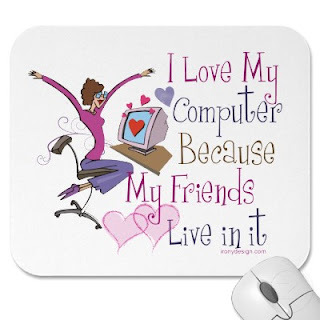 Then there is a special breed of friends called 'Blog Friends'. Friends whom you meet through their blogs, start off by commenting on their posts, move on to exchanging e mails and messages and gradually a friendship develops. They become a part of your life and you feel happy in their happiness and concerned when their messages and blog posts are less than cheerful. But these friendships feel slightly tinged with the unreal. You’ve never met these people in real life and your image of them is based solely on blogs read and mails exchanged. But when these virtual friends and their families step out of the blog pages and you actually get to meet them the experience is like magic ! This is what happened when I met Preeti Shenoy of Just a mother of two, her husband Satish and their two very adorable kids Purvi and Atul. She was in Delhi from UK on a whirlwind trip and was sweet enough to squeeze out time to meet me. After innumerable discussions about where to meet and a lot of tearing out of hair due to Delhi’s notorious traffic jams we finally managed to get together. I had been quite skeptical about virtual friendships before but now I feel that they are real – sometimes even more real and enriching than our other friendships ! I wanted to meet Meira too but couldnt this time. Next time pukka! Some of my closest friends have happened because of my blog only :) So Virtual meetings turning into real does not surprise me anymore, because our minds have met long before our physical selves have. @Meira - Ohh yes she`s great. Lets plan a NCR blog meet soon !! sometimes even more real and enriching than our other friendships ! kya..... what does this mean? hamari itni tauheen...!! @Swaram – Three cheers to blog friends ! @Shail - yeah I look forward to more such meetings now !